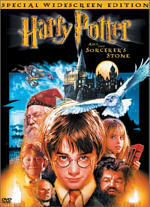 The next installment in the Harry Potter series finds young wizard Harry Potter and his friends Ron Weasley and Hermione Granger facing new challenges during their second year at Hogwarts School of Witchcraft and Wizardry as they try to uncover a dark force that is terrorizing the school. Opening weekend $88.357 million on 3682 screens. Man, that Harry Potter’s a real license to print money, isn’t he? The books presell in the millions, and the movies clean up at the box office. 2001’s Harry Potter and the Sorcerer’s Stone raked in $317 million, which allowed it to narrowly edge out The Lord of the Rings: The Fellowship of the Ring’s $313 million as the year’s top-grossing flick. History didn’t repeat itself in 2002, as Harry Potter and the Chamber of Secrets only managed to place third among the year’s biggest moneymakers. Spider-Man easily grabbed the trophy for 2002, as it earned a whopping $403 million. Frodo got his revenge as well, for The Lord of the Rings: The Two Towers came in second place with a take of $333 million. Chamber ended up with $261 million. That figure doesn’t live up to the two above it, and the money also fell by about 18 percent compared to the gross of Stone. While that may seem like a minor disappointment, especially since the second Lord of the Rings flick substantially outdid its predecessor, I actually thought Chamber scored better than I expected. Before Chamber hit screens, I predicted it would drop quite a bit compared to Stone. I figured it might rake in about $230 million, but I felt sure it wouldn’t approach the $300 million plus of Stone. The success of Two Towers above Fellowship made sense, as the latter made a lot of fans from folks who didn’t give it much thought before it received so many accolades. Personally, I only went to see Fellowship because it got so much praise. However, the movie won me over after a few viewings, so I gladly greeted the release of Towers, and I’m sure I’m not the only hobbit-doubter who changed his mind once he saw the first film. On the other hand, I don’t think the same tendency occurred in regard to the Potter flicks. Stone attracted a lot of viewers out of curiosity. Between the enormous success of the books and the hoopla accorded the film, it became an event movie. Even folks like my Dad who expressed no prior interest in the series gave Stone a look. Or maybe not. As I mentioned, I thought Chamber’s gross would fall substantially below that of Stone, but the retention of 82 percent of the first flick’s gross seems pretty solid. I believe the rule of thumb is that sequels tend to earn about two-thirds of the money made by the original, so Chamber stood up nicely in that regard. Whether the third Potter flick – due in 2004 – will continue to rake in the bucks remains to be seen, but Chamber keeps the franchise running well, at least in the commercial sense. In an interesting move, Stone followed Harry’s first year at Hogwarts School of Witchcraft and Wizardry, and Chamber then picks up at the start of his second term. Before Harry (Daniel Radcliffe) heads back for the school year, we see him back home with his piggish Durley family, headed by his uncle Vernon (Richard Griffiths). When Dobby the elf (voiced by Toby Jones) warns him not to return to Hogwarts due to a frightful plot, Harry splits anyway, though his buddy Ron Weasley (Rupert Grint) and his siblings have to bust him out of the Durley abode. From there we see Harry and the others prepare for their return to school. A trip to Diagon Alley for supplies reunites the boys with their friends Hermione Granger (Emma Watson) and school assistant Rubeus Hagrid (Robbie Coltrane) as well as Harry’s schoolmate for Draco Malfoy (Tom Felton) and his equally nasty dad Lucius (Jason Isaacs). We also meet egotistical wizard and author Gilderoy Lockhart, who we’ll run into again later at Hogwarts, where he’s a new addition to the staff. Harry’s return to Hogwarts isn’t easy, though. As he and Ron try to slip through the magic portal to catch their train, it closes. They resort to another method to make it to Hogwarts: they “borrow” Mr. Weasley’s flying car and zoom to the school, though some mishaps occur along the way. After a little trouble, things seem to settle into the standard routine. They meet Lockhart as their Defense Against the Dark Arts teacher, and we also learn that purebred wizards feel a bias against those who aren’t; they call those folks “Mudbloods”. Some folks preferred Chamber to Stone, and I’d probably agree with that sentiment, though only to a small degree. Often times the second film in a series provides a darker experience than the first; flicks like The Empire Strikes Back, Indiana Jones and the Temple of Doom, and Back to the Future Part II demonstrated that tendency. A scarier piece than Stone, Chamber creates a more ominous world and creates a level of introspection not found in the first film. The growth of the child actors helps that trend to succeed. Actually, of the three main kids – Harry and his compatriots Hermione and Ron – only Radcliffe seemed like a weak link in the first flick. While he didn’t grow enormously in Chamber, Radcliffe displayed noticeably greater levels of confidence and personality. He came across as a dud in Stone; there he seemed very bland and lifeless. Radcliffe seemed substantially more vivid in Chamber, as he showed greater spark and flair. He didn’t take the film to a higher level, but at least he didn’t cause it to drag, a problem that did occur during Stone. As with Stone, Chamber boasted a very solid supporting cast. In addition to holdovers like Maggie Smith, Richard Harris, Alan Rickman and Robbie Coltrane, Chamber included a few new performers, with Jason Isaacs and Kenneth Branagh as the most prominent of the pair. Both acquitted themselves quite nicely. As shown during The Patriot, Isaacs digs into villain roles readily, and he made the most of his limited time onscreen here. As the broadly egotistical Lockhart, Branagh lit into his part with vigor. He allowed the part to become lively and amusing, and he helped add some spark to the flick. Where Chamber faltered largely related to its running time. Stone ran 156 minutes, but it tended to move acceptably well. I could more easily forgive its excessive length because it needed to handle so much information. Stone had to establish an entire world for those of us with little foreknowledge of the series’ jargon and situations. It also needed to establish a slew of characters. Virtually the entire first half of Stone dealt with these issues, and the use of that time to set up the personalities, settings and topics seemed logical and necessary. With Chamber, the filmmakers could step right into that world. Yes, they needed to introduce the smattering of new characters, but they already handled the vast majority of the exposition. Because of this, one might expect a much more streamlined story that moved more quickly and came out at a less severe running time. Unfortunately, that didn’t occur. Shockingly, Chamber actually lasted five minutes longer than Stone. Since the second flick required so much less exposition, this seemed odd, and the long running time really made the story drag at times. During Stone, so much of the material was new that it became harder to get bored. Unfortunately, the same factor didn’t hold true for Chamber, as the story really plodded at times. Occasionally I just wanted to shout “Find the stupid Chamber already!” It seemed to take them forever to get to the point of the movie, as it took numerous unnecessary detours. Actually, whether these shifts were useful or not will likely depend on who you ask. For me, Chamber dragged because it focused too heavily on daily life at Hogwarts. Did we need another game of Quidditch or another trek to Diagon Alley or all those shots of classes? From a story point of view, no, we didn’t require those. However, people with a jones for Potter likely love that stuff, as they seem to eagerly grab any chance to revel in the normal life of their fictional friends. It isn’t good storytelling, but it seems to make some people happy. Many will likely disagree with me in another area as well. I felt that Chamber ladled on too many scenes that featured pointless magical moments. Did we need to see the Cornish pixies? Did we need to observe all the living photos? Did we need to watch needles knit by themselves? Nope – again, from a story point of view, all of this was totally superfluous, and it slowed down the movie. Also again, many people clearly loved this stuff. I disagreed, as I thought those pieces felt gimmicky, and they didn’t add any real spark to the flick. Another fault that applied to both Potter flicks related to the way it used its cast, or didn’t use them, as the case may be. The Potter series boasts a lot of terrific actors, but they received precious little real screentime in both flicks. Actually, I can’t really complain about this; the movies do and should focus on the kids. However, it just seemed like a shame to boast a cast that included Richard Harris, Maggie Smith, Alan Rickman, Jason Isaacs, Robbie Coltrane, Kenneth Branagh, John Cleese and others and give them so little to do. Only Branagh got much legitimate screentime; the others appeared to be afterthoughts. The computer graphics of Stone failed to impress me, but Chamber offered a moderate improvement in that department. Some of the elements – the Cornish pixies, in particular – continued to look pretty fake, but the flick’s most substantial CG character seemed surprisingly convincing. That’d be Dobby the elf, who offered perhaps the film’s most compelling character. He seemed pathetic and sympathetic, and he worked quite well. I maintain a general disdain toward CG, but Dobby largely satisfied me. To a minor degree, I could say the same about Harry Potter and the Chamber of Secrets. While definitely a flawed and slow-moving film, it offered enough reasonably compelling material to make it acceptably enjoyable. I never felt remotely close to being swept away with the magic of the whole thing, but I thought it presented some decent moments. No, that’s not a ringing endorsement, but it’s about as much passion as I feel toward Chamber. It comes across as a moderately entertaining flick but nothing more than that. 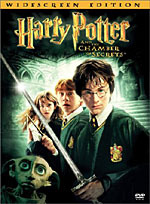 Harry Potter and the Chamber of Secrets appears in an aspect ratio of approximately 2.35:1 on this single-sided, double-layered DVD; the image has been enhanced for 16X9 televisions. If you saw the DVD for Sorcerer’s Stone, you’ll know what to expect from Chamber, as it presented a visual experience that strongly resembled what I saw on the prior disc. Sharpness remained excellent. The movie consistently looked detailed and accurate. I noticed virtually no signs of softness during this distinct and well-defined movie. Jagged edges and moiré effects caused no concerns, but I did detect a smidgen of edge enhancement on a few occasions. As with Stone, Chamber also looked a little grainier than I expected, and I noticed a few small specks as well. Nonetheless, the print generally appeared clean and free of defects. Though Chamber didn’t boast a dazzling palette, it varied hues well enough, and the DVD displayed these nicely. The various colors came across as vivid and bold when necessary. The hues never showed any problems like noise or bleeding, as they stayed tight and clearly reproduced. Black levels looked particularly solid, as they portrayed deep tones, while shadow detail appeared quite smooth and appropriately visible. Low-light situations seemed very neatly defined and suffered from no excessive opacity. Most of Chamber looked very positive, so only a smattering of small issues bumped my grade to a “B+”. Just as the visuals of the Stone and Chamber DVDs seemed very comparable, the two discs also provided similar audio. Chamber featured a very fine Dolby Digital 5.1 soundtrack that really helped bring the action to life. Much of the track maintained a focus on the front, but within that spectrum, the audio seemed smooth and lively. Music presented good stereo imaging, while effects popped up in their appropriate locations and blended together cleanly. Elements moved from one channel to another in a natural manner. At times, I thought the surround usage seemed little too reserved, but when the rear speakers really kicked into action, I better appreciated the mix. Quite a few sequences used the surrounds to great advantage. The flying car zoomed neatly around the different speakers, and the parts with the mandrakes and the Cornish pixies really filled the environment well. During the action climax, the track also came to life intensely. Audio quality appeared solid. Speech seemed natural and warm, and I detected no issues related to edginess or intelligibility. Music probably could have been a little more prominent in the mix, as it occasionally appeared a little buried. Nonetheless, John Williams’ score was clean and bright. Effects presented excellent dynamics and clarity. Distortion created no problems even during the loudest parts, and highs appeared crisp and vibrant. Low-end response was nicely deep and tight, as bass elements really added to some of the more aggressive sequences. Ultimately, the soundfield of Chamber didn’t seem consistently active enough to merit a straight “A” grade, but the track worked more than well enough to earn its “A-“; the better moments reached demo quality. This two-disc set for Chamber packs a mix of extras. As was the case with Stone, DVD One isn’t totally devoid of extras, but it comes close. We find a Cast and Crew section that simply lists the names of participants and their characters/jobs. Warner Bros. does this for many of their DVDs, and I don’t get it. If I want to find out who played a certain role, I’ll look at the end credits. I go to “Cast and Crew” areas for biographical info about the participants, or at least to check out a filmography; these basic charts are useless. In addition, DVD One includes the film’s theatrical trailer. In a nice touch, it comes with anamorphic enhancement, though it offers only Dolby Surround 2.0 sound. Disc One also provides Year One at Hogwarts. This 115-second montage essentially just recaps Sorcerer’s Stone. I guess it’s a decent way to refresh one’s memory before a screening of Chamber, but it seems pretty pointless to me. 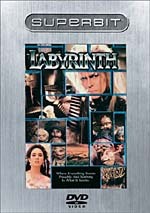 DVD-ROM users get a little more material on Disc One, all via online links. “Daily Prophet” sends you to a WB Potter website with all sorts of information and options. It looks like a pretty good site. “Special Events” goes to the standard WB page for that content. They don’t update it well, and it rarely offers much of use. “Discussion” redirects to a message board that relates to all things Potter. “HarryPotter.com” gives us another fairly fun site with a reasonable amount of good content. “Wizard’s Shop” tries to sell us stuff, while the “Newsletter” will send you Potter-related information. More extensive DVD-ROM materials appear on Disc Two, but I’ll wait until later to cover those. When we start with DVD Two, we find a mix of supplements. In the Additional Scenes domain, we locate 19 excised segments. These last between 20 seconds and three minutes, 22 seconds for a total of 17 minutes and nine seconds of footage. Most of the clips feature small trims from existing scenes; 10 of the 19 snippets found here run between 20 and 33 seconds, and that usually includes a few moments that also appears in the final film. Those short bits seem moderately interesting at best; they’re just too brief to offer anything terribly substantial. Some of the longer sequences work better, though. We get a much lengthier look at the meeting between Harry and the Malfoys in the bookshop, and we also find a fun clip that shows the quiz Lockhart gives to his students; instead of addressing the appropriate subject, it’s all about him. Nothing here appears terrific, but overall the collection provides a nice batch of cut material for fans. Much less useful, we next discover a Game Preview. This simply shows six samples of the action from the Chamber videogame. It’s dull and pointless other than from a promotional mindset. Within the realm called “Behind Hogwarts” we discover four subsections. The Conversation with J.K. Rowling and Steve Kloves provides an interview with the author and the screenwriter. Conducted by moderator Lizo Mzimba, this piece lasts 16 minutes and five seconds. The pair cover a nice range of subjects related to the series. Kloves relates his frustration since he doesn’t know where things will eventually go; Rowling keeps unpublished fates tightly to herself, so the screenwriter finds it more difficult to plan for the future. The pair also talk about how they decide what to keep and what to toss from the lengthy books as well as development of characters, their working relationship, other adaptation issues, and much more. I like the idea behind this piece, as it’s cool to pair the writers together. The material provided fails to appear revelatory, but it adds a nice layer of depth to the writing process and seems fairly interesting. Within “Dumbledore’s Office”, we get some behind the scenes information within its two subsections. Despite its odd title, Build a Scene actually provides a decent documentary about the production. The piece lasts 17 minutes and 20 seconds as it presents the usual combination of movie snippets, behind the scenes materials, and interviews. We hear from a large group that includes director Chris Columbus, producer David Heyman, production designer Stuart Craig, special effects supervisor John Richardson, creature effects designer Nick Dudman, cinematographer Roger Pratt, costume designer Lindy Hemming, hair designer Eithne Fennell, make-up designer Amanda Knight, editor Peter Honess, and composer John Williams. Essentially, “Scene” covers most of the technical aspects behind the making of the film. Granted, it does so very quickly, but it goes through all of the big subjects. It discusses early visual design, building sets, making effects and creatures, outfitting and altering actors, cutting it together, and adding the music. Nothing here provides much depth, but the program offers some fun details like the decision to keep dark-haired Jason Isaac’s natural eyebrows for the ultra-blond Lucius Malfoy. “Scene” presents a breezy and reasonably informative glimpse at the filmmaking process. Similar to a feature about Hagrid’s hut on the Stone DVD, Tour Dumbledore’s Office leads us on a semi-interactive tour of the place. I heard about his office but couldn’t interact with much; it’s generally a video visit, though we’re occasionally allowed to take a closer look at various items, which resulted in a few seconds of narration them. This section had potential but seemed dull and unengaging for the most part. It also was tedious to navigate the area. Interviews with Students, Professors & More offers exactly what the title states. It splits into two subdomains. “Students” lasts eight minutes, 46 seconds, and mixes movie clips, a few shots from the set, and chats with young actors Tom Felton, Hugh Mitchell, Emma Watson, Devon Murray, Matthew Lewis, Sean Biggerstaff, Rupert Grint, Daniel Radcliffe, and Bonnie Wright. Don’t expect much depth from the kids, as they focus almost totally on superficial matters like how much fun they have on the set and what scenes they like best. An interesting tidbit or two slips out, but most of this material seems dull. Professors & More fills 10 minutes, 39 seconds, and uses the same format as the “Students” interviews. We get remarks from adult actors Kenneth Branagh, Jason Isaacs, Miriam Margolyes, Julie Walters, Mark Williams, Richard Harris, Robbie Coltrane, Alan Rickman, Richard Griffiths, Fiona Shaw, David Bradley, and Maggie Smith. 12 participants with a running time of less than 11 minutes? You do the math – that’s not much time per person. This means we get little depth here. The speakers mostly toss in some superficial notes about their characters or the production, though a few neat comments emerge. Overall, however, all these interviews seem disappointingly bland and uninformative. The final component of “Behind Hogwarts”, the Gallery of Production Sketches presents a slew of images. We find drawings for creatures, sets, locations, and other visual elements. Each of the 18 galleries includes between four and 26 pictures for a total of 187 pieces of art. The displays offer some interesting looks at details and conceptual plans. Inside the “Activities” realm we locate four elements. Two of these involve games. The Chamber Challenge mixes trivia questions about the flick and various guessing contests. It moves at a tedious pace and goes nowhere – I think I completed it and got no reward, though the end seemed oddly vague, so I might have just lost and been kicked out to the main screen. Since the game forgives many mistakes along the way, however, that doesn’t make much sense. Whatever the case, it comes across as a pointless and slow-paced piece. Different though equally boring is The Forbidden Forest Challenge. Essentially a Harry Potter take on Dragon’s Lair, this one drives you through the forest and forces you to pick left or right turns at various junctures. As with “Chamber Challenge”, I’m not sure if I won or lost; the game just ended and kicked me back to the main menu. It seems lifeless and lacked any fun. The extra with the coolest title, Colin’s Darkroom provides an unusual way to check out some photos. You delve into three virtual drawers and can select from a number of movie pictures. None of these seem terribly interesting, as they’re just standard publicity shots for the most part. The interactive method also gets a little old; it makes access slow and tedious. The last part of the “Activities” domain, Tour Diagon Alley provides an interactive journey very similar to “Tour Dumbledore’s Office”. I didn’t like that feature much, so it didn’t surprise me that “Alley” seemed pretty dull as well. 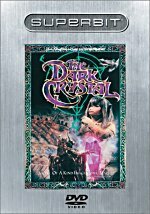 The folks behind the Chamber DVD sure do like their interactive games, as we find yet another one called Spellcaster Knowledge. This shows some film snippets that involve spells. You need to answer with the effect of the spell cast. It’s fairly easy if you’ve seen the movie, and as with the other games, it provides no real reward. At least it’s less tedious and frustrating when compared to its siblings. Next we move to an area called “Lockhart’s Classroom”. Here we find three subsections, all of which are devoted to the egotistical professor. Photo Gallery presents 12 posed pictures of Lockhart. These can be viewed frame by frame or in a running program accompanied by amusingly laudatory commentary from the DVD’s ubiquitous narrator. It’s a fun little collection. Certificates only works as a running piece, and it comes with more remarks from the narrator. Required Reading functions the same way and discusses Lockhart’s books. Both seem brief but cute. DVD-ROM users can head to the Extra Credit section. Or some of them can do so. In addition to the same Weblinks found on DVD One, “Extra Credit” promises that you can “magically control your computer with your voice” and “keep track of events with the Hogwarts official animated timeline”. It also apparently presents “over 15 animated puzzles, sliders, screensavers, matching challenges, magical trading cards and much more”. I can’t confirm any of this because “Extra Credit” simply refused to work on my computer. Whenever I tried to run it, I always ran into a script error, and the program totally stopped. Similar features on the Stone DVD operated just fine on the same computer, so I have no idea why the “Extra Credit” for Chamber ground totally to a halt. With or without those components, I found Chamber to be a disappointment in the supplements department. At least it slightly surpasses Stone, which packed a lot of content but featured little substance. Chamber provides over twice the number of deleted scenes and presents more behind the scenes information as well. Happily, it dispenses with Stone’s horrific interface too. That side of the DVD made it a real chore to navigate the disc, but Chamber worked in a simple and fairly straightforward manner. While the folks behind these DVDs clearly learned some lessons, Chamber remains fairly insubstantial in regard to supplements. The package still includes too much fluff and not enough detail. The deleted scenes are good, and some of the interviews and behind the scenes programs also work well. I nearly gave this set a “B” for extras, as it improved upon Stone enough that I thought it might need a higher bump above the latter’s “C+”. But I just didn’t feel comfortable with a straight “B” because I simply didn’t think the Chamber extras offered much information. My supplements grades don’t reflect sheer quantity of materials; they also deal with quality. That’s why something like Hearts and Minds merited a “B” even though it only included a commentary and a booklet. Those two pieces were both terrific and illuminating. Chamber, on the other hand, provides scads of pieces, but few of them tell us much. Maybe WB will finally satisfy all of us supplements fans a couple years down the road with Harry Potter and the Prisoner of Azkaban, the next flick in the series. As for part two, Harry Potter and the Chamber of Secrets provides a small improvement over its predecessor, though both remain too long and somewhat lacking in true magic. Chamber offers a little fun and charm but it seems to try too hard to entertain us at times, and it rarely just lets the material breathe on its own. As for the DVD, both picture and sound quality seemed very solid. Neither reached demonstration level, but both satisfied nicely. Supplements offered a few good pieces but mostly lacked substance; don’t expect to learn much detail about the film. If you’re a Potter fan, however, I saw nothing to keep you away from the DVD of Chamber, as it presented the film well and did enough right to merit my recommendation. Those not already enamored of the young wizard may want to give it a rental as well.